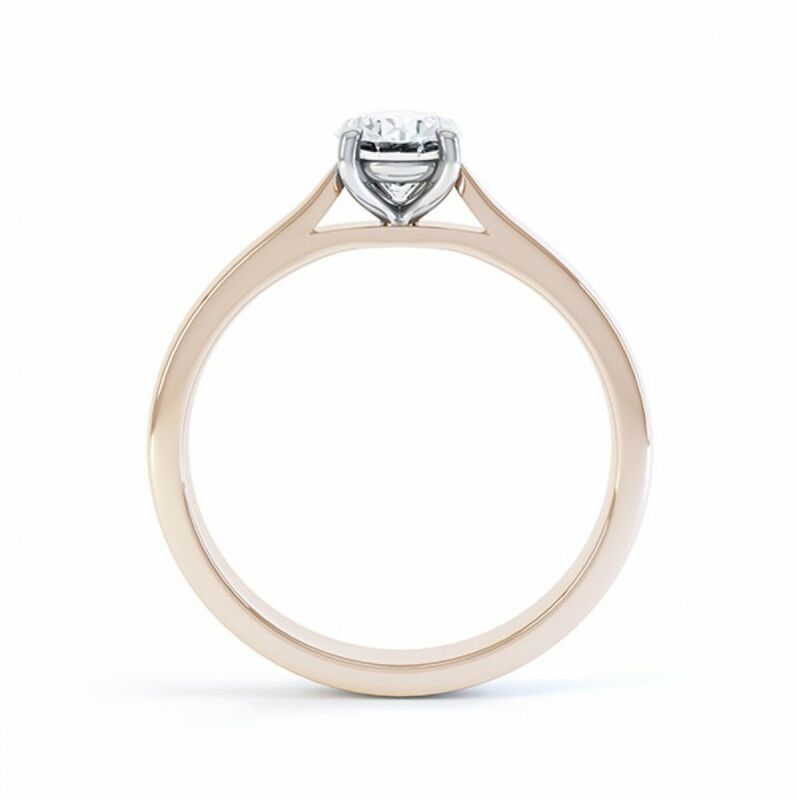 The Calais Oval solitaire diamond engagement ring is simple and feminine, elegantly framing a dazzling Oval diamond with an open four claw setting. Benefitting from a wedding ring friendly design, the ring gracefully flows into a comfortable court shaped band. 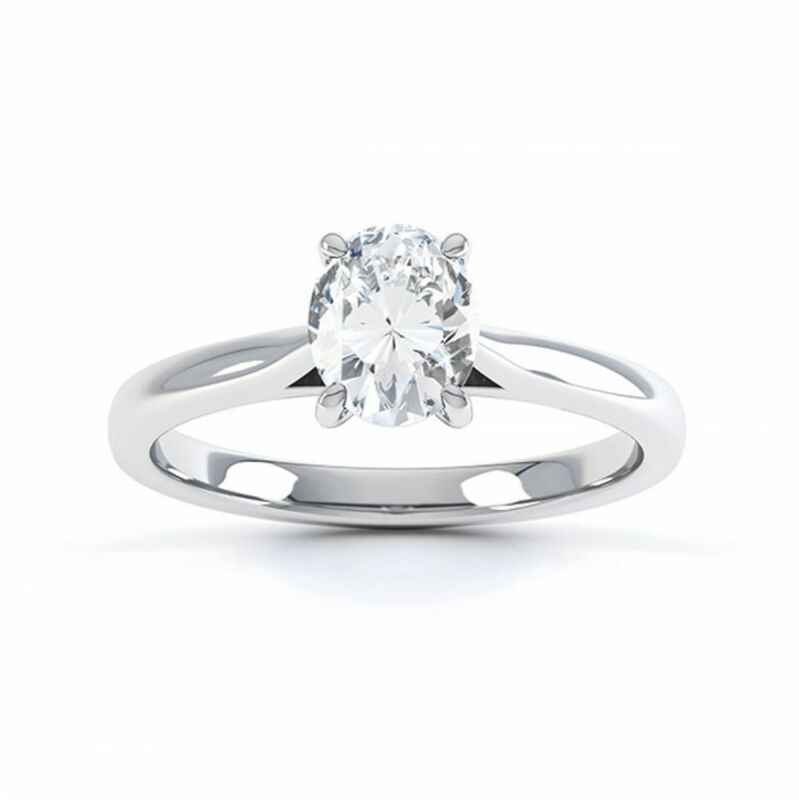 The Calais Engagement Ring design presents classic solitaire styling with a modern Oval Brilliant cut Diamond. The comfortable 2.5mm court shaped band rises towards open shoulders. Shoulders narrow and rise towards four perfectly polished claws surrounding the Diamond. We create each ring design to order based on your chosen specifications. 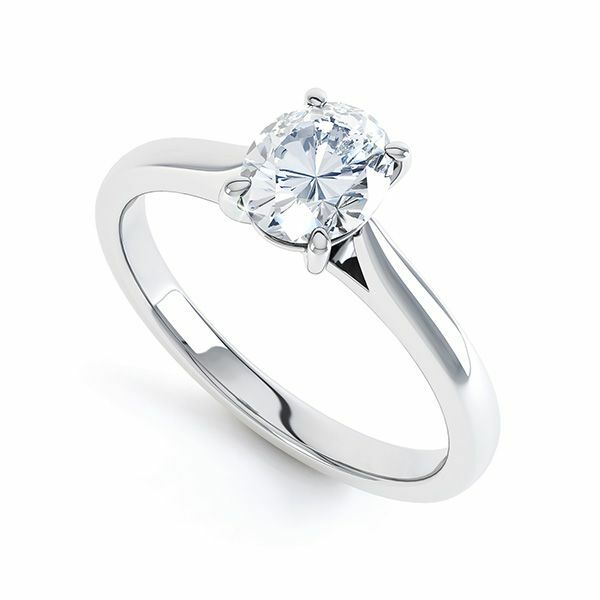 Select your ideal precious metal, combined with a choice of Diamond carat weight, colour and clarity. Each ring commission takes between 3-4 weeks to be made. 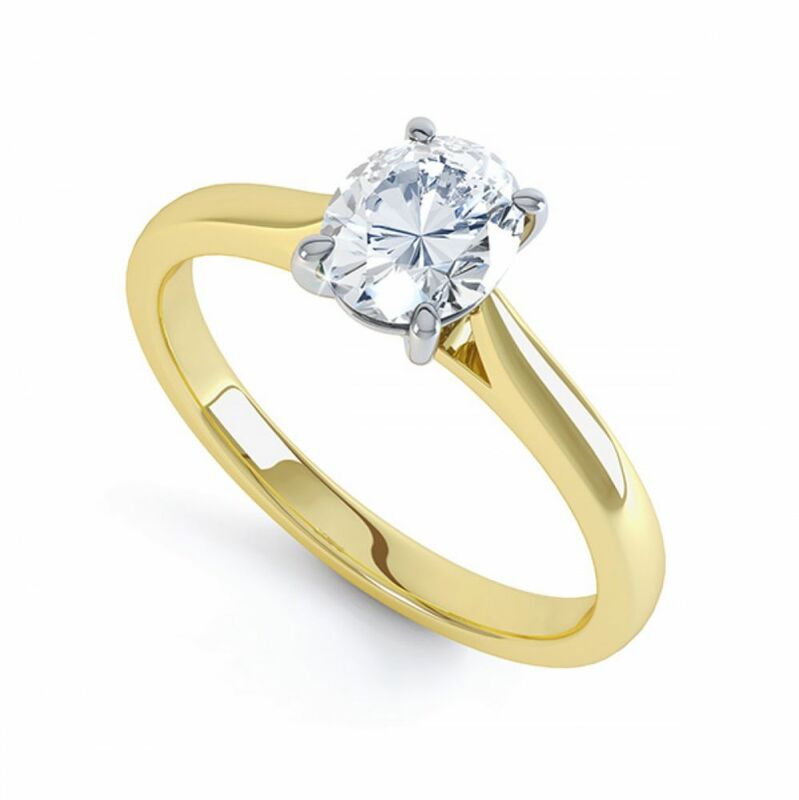 We present your Engagement Ring in beautiful packaging, arriving by secure courier to your door in time for proposal. Most Diamond options from 0.30cts and upwards include full certification, accompanied by a detailed valuation document for insurance, lifetime warranty and with the reassurance of 60 days returns. Fantastic and incredibly beautiful - even more so than it looked like on the computer. Really super!